I know New Years is a few weeks away, but bear with me. See, running-wise, the marathon (and the lethargy following it) was the end of an “era” of “First-Marathon” training. 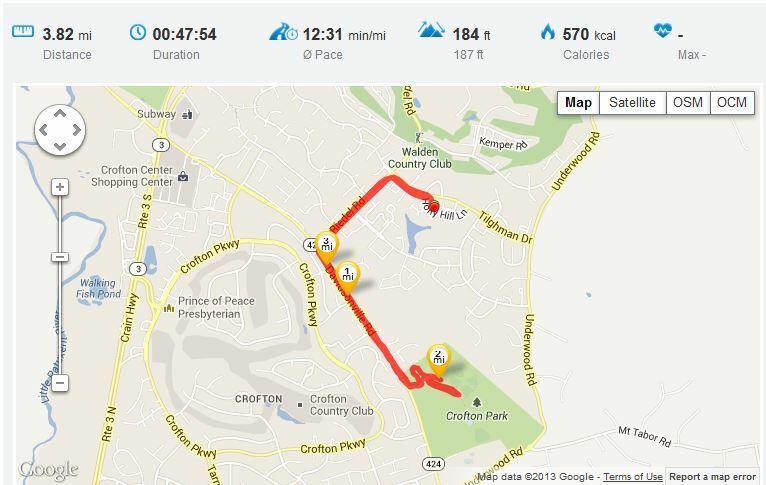 So this is my running “New Year” as I begin running again as a Marathoner! 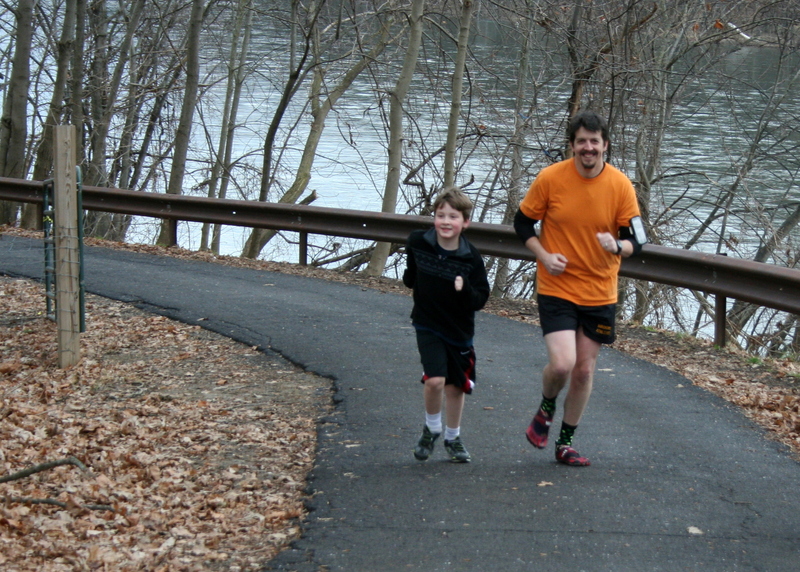 Toward the end of the “era” of my Marathon training, my son mentioned that he wanted to run with me again. This made my heart sing (as any running-parent understands!) Sadly, running 20 miles (and other “end-of-Training” runs) are a bit long for a 10-year-old just getting into running. 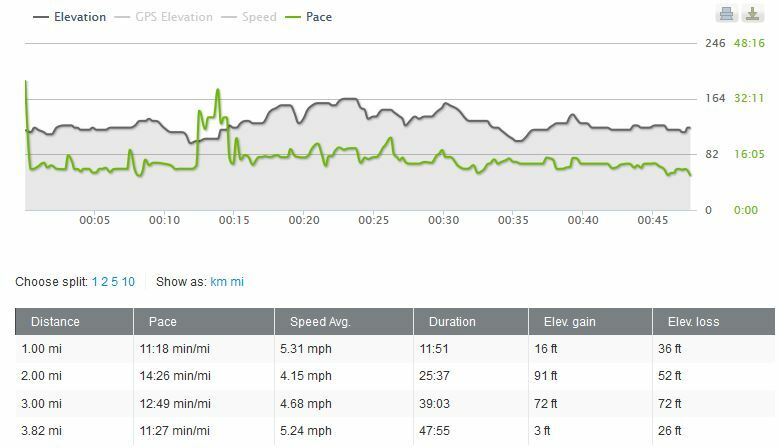 On top of that – the idea of doing additional runs while running that mileage didn’t appeal too much either. This really inhibited by son being able to go out with me. But fast forward to today, I am not training for a Marathon. Friday night I told him I had signed him up for 5k Resolution Run (I lied. ), and he was more than ok with it! Being a bright kid, he did have one concern. He knew he hadn’t been running lately, and questioned his ability to run a 5k, a concern I did not share. So, how to prove it? Well, thanks to Runner’s World “What to Wear,” yesterday the Boy and I headed out for our run appropriately garbed for the weather! I hadn’t let him know how far we were going, and strangely he didn’t ask. My plan was to do 5k, so that he could stop his worrying. He did AWESOME. We had to stop just after mile 1 for him to walk, but that was the only time out of 3.8 miles! I was very pleased with the pace he was able to keep the whole way, and look forward to seeing where he is in a month’s time of regular running! Now I have to get him signed up for a 5k Resolution Run! ‹ A Sedentary Lifestyle is just not for me.